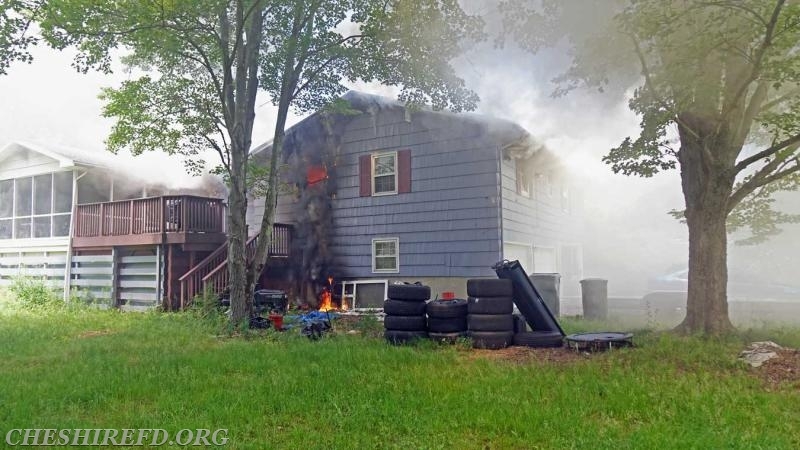 On Sunday, July 9, 2017 at 1:00 PM, Cheshire Firefighters responded to a report of smoke in the residence at 171 Payne Drive. Upon arrival, Firefighters found an active fire in the residence. Firefighters were able to get the fire extinguished and under control within 30 minutes of their arrival. 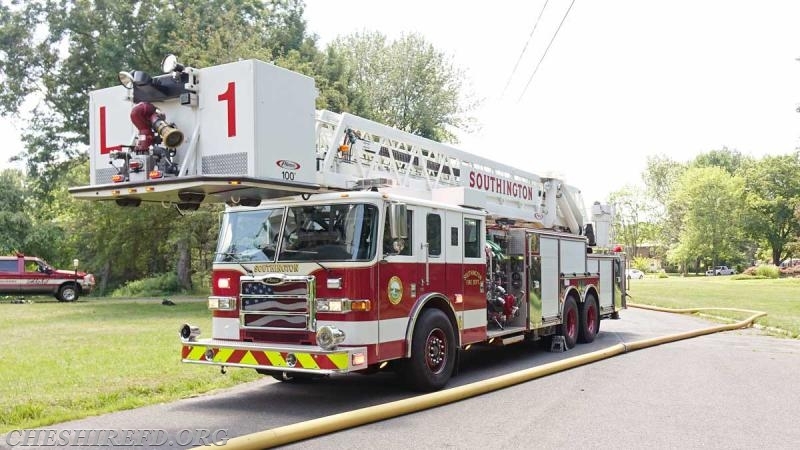 Assistance at the scene was also provided by the Southington Fire Department. The interior of the residence sustained significant fire and smoke damage. All photos provided by John Homer. 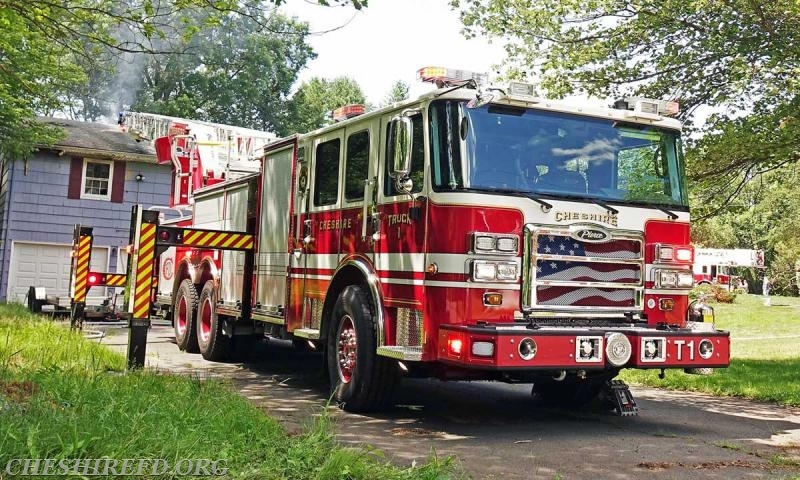 Units: Cheshire Fire: Car 1, Engine 6, Engine 2, Engine 7, Truck 1. 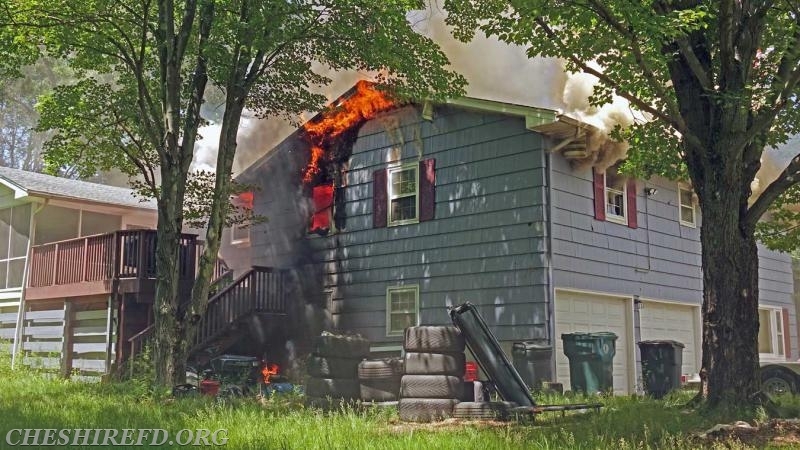 Fire was visible from a bedroom at the rear of the structure. 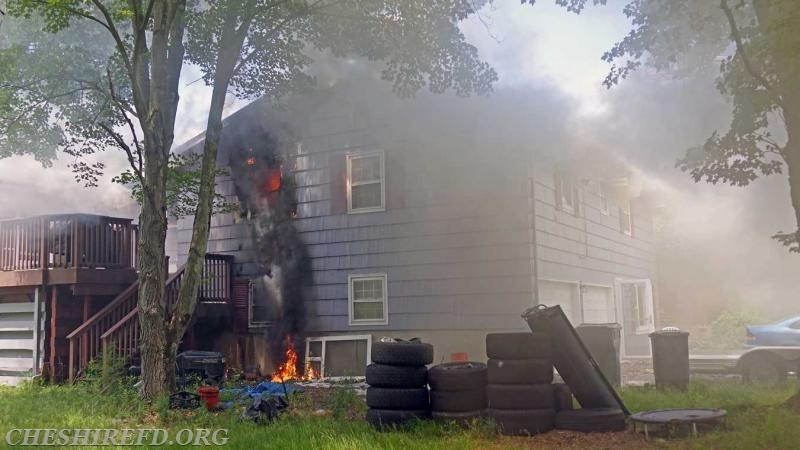 Fire venting from a bedroom with burning debris dropping down and igniting materials on the ground and exterior of the structure. 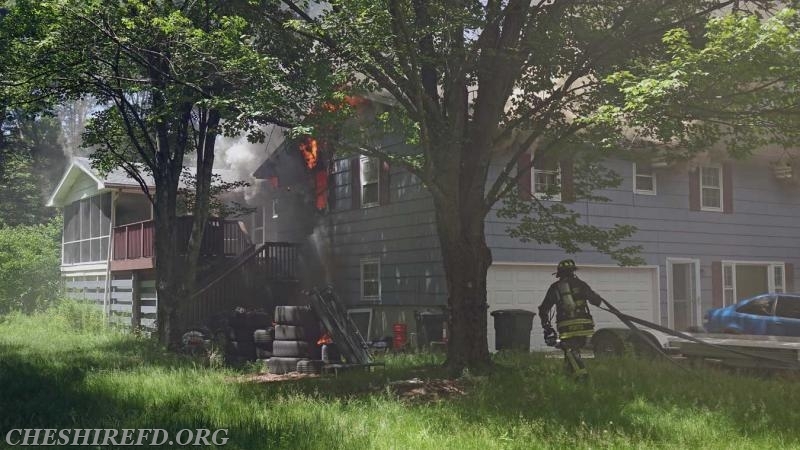 A Cheshire Firefighter works to stretch a hose line to the rear of the residence. 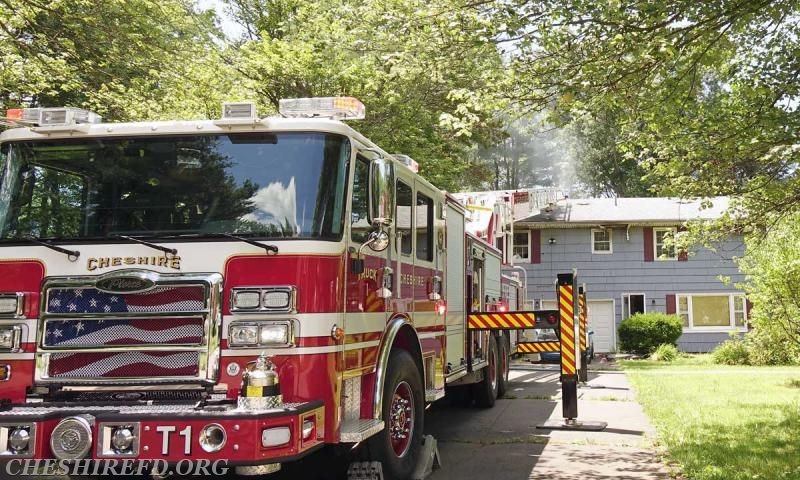 Fire quickly extended from the window and into the soffit and attic space above. 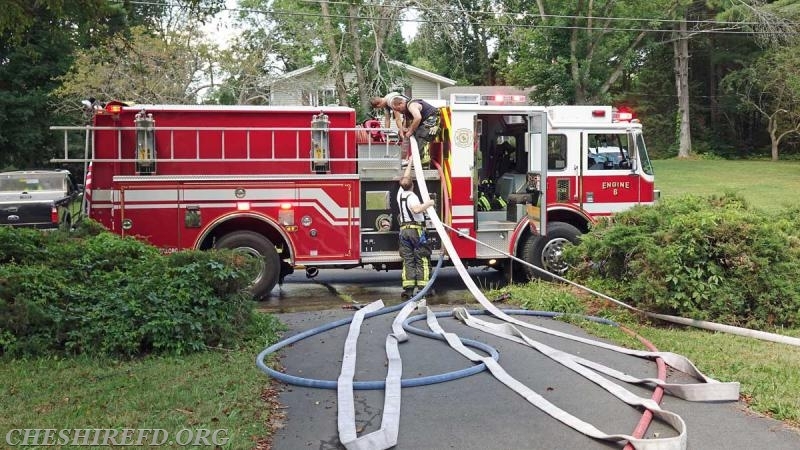 The new Truck 1 has only been in service for several weeks and was well positioned in the driveway in the event that an aerial stream was required. Truck 1 in the driveway. 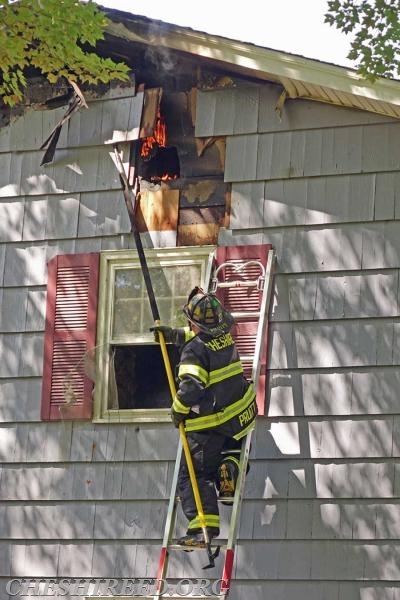 FF Pruitt works to remove burning sections of siding and sheathing from the exterior. 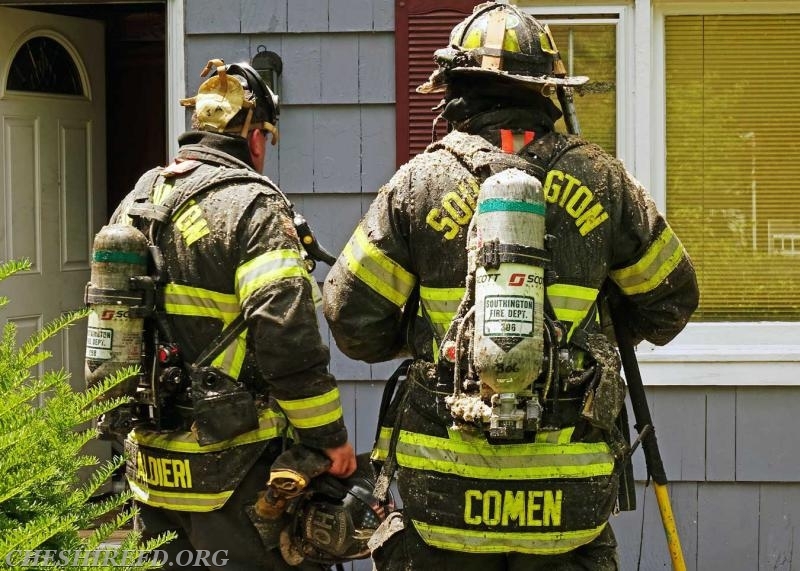 Thanks to our neighbors in the Southington Fire Department for the immediate response and assistance at the fire. 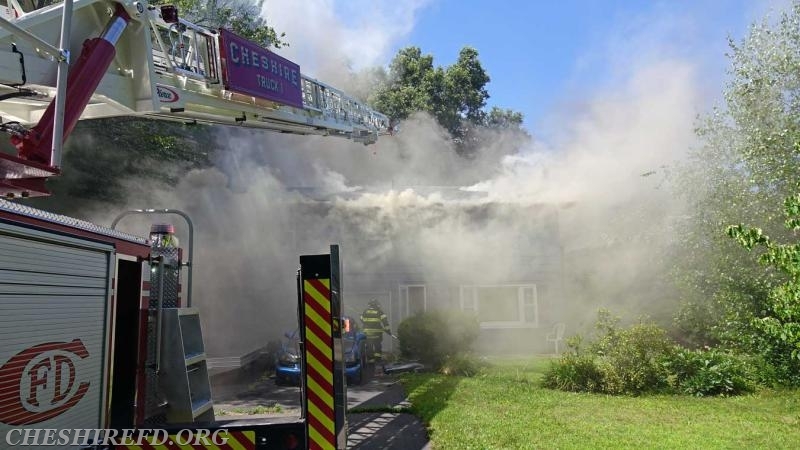 Cheshire Engine 6 positioned in the front of the residence and supplied several hose lines during the fire.